Did you complete the Fragrance Survey yet? If you haven’t what are you waiting for? 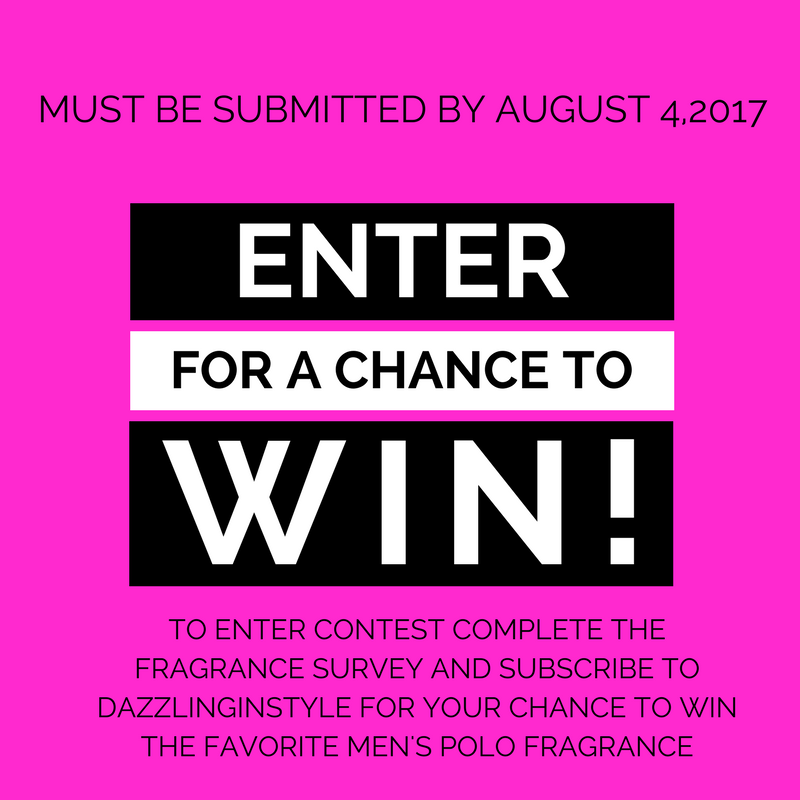 All you have to do is complete the Fragrance Survey and subscribe to Dazzling In Style to enter our contest by August 4, 2017, for a chance to win the favorite Polo fragrance that is selected by everyone who participates and follows the rules. We’re super excited to see who the winner will be on August 7, 2017. ← WHAT IS YOUR FAVORITE MEN’S POLO FRAGRANCE?